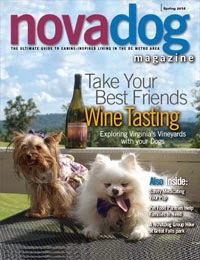 There's a new trail winding its way through some of the Virginia Wine Dogs' favorite watering holes. 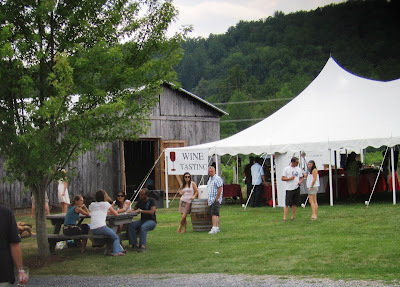 The Artisanal Wineries of Rappahannock County is a collection of family-run wineries who have joined together to offer a premium wine tasting experience that is rooted in small lot, handcrafted wines. 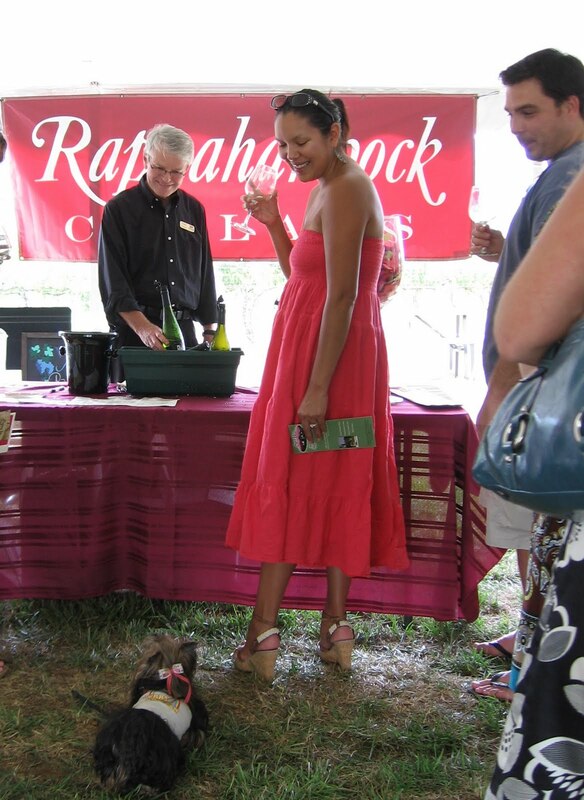 When Munchkin heard the wine trail's launch was a festival at Rappahannock Cellars featuring all five wineries, she exclaimed "That's the ticket!" It was a splendid afternoon under the big tent next to Rappahannock's barn where live music played. Volunteers from Hospice of the Rapidan (who received the proceeds from the successful two-day event) greeted Munchkin warmly as she made her entrance. 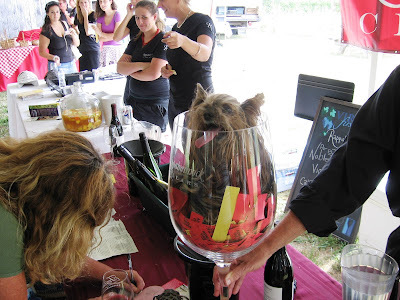 She was given her tickets, with entitled her to 15 tastings. 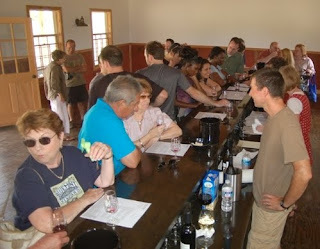 Each of the wineries was asked to bring a Viognier and Cabernet Franc (the Virginia anchors), as well as an off-dry or sweet wine. 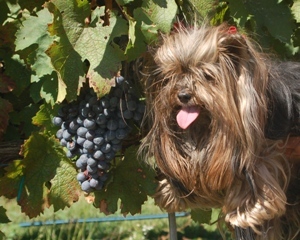 The Cab-loving canine appreciated the opportunity to taste and compare her favorite grape (is that vertical or horizonal, or just sideways?). Festa Rappahannock brought together a Who's Who of the Virginia wine elite. and a host of Delmares led by patriarch John making sure all their friends and guests had a fine time. 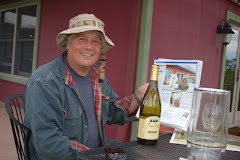 As Munchkin retired to the patio to enjoy a delicious burger catered by the Marriott Ranch (complemented by a glass of Claret), she was able to engage Allan Delmare for a quick interview about the event and the trail. 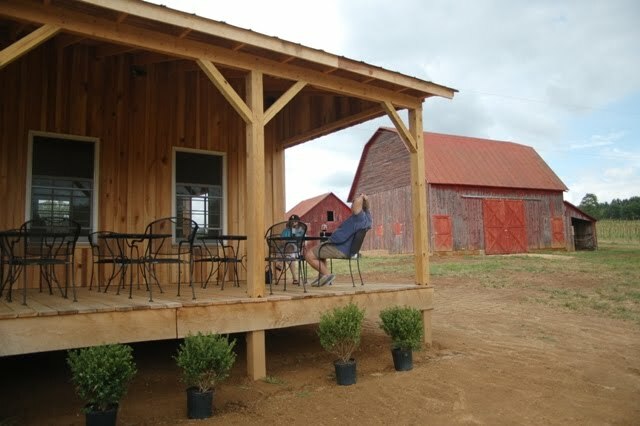 Allan explained that the trail was conceived by the five owners, who reached a mutual conclusion that they needed a way to unite their wineries -- all family-owned, all focused on producing artesinal wines, and all located in Rappahannock County. He added that the county had been very supportive. 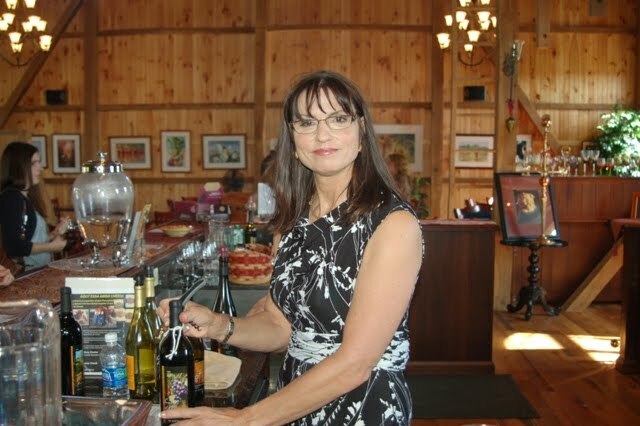 The Festival goes back to the the Delmare's California roots, where they used to host similar events at their winery twice a year. 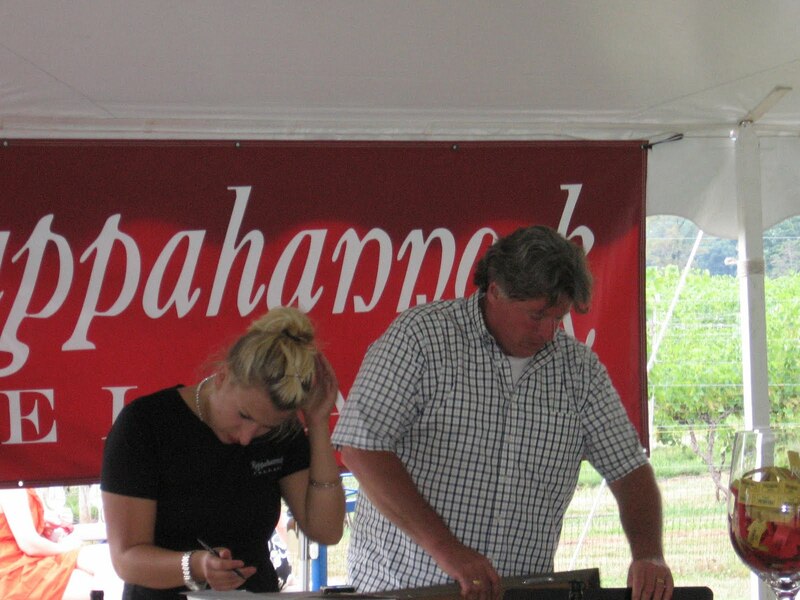 While plans are still in the works, Allan did promise there would be a second annual Festa Rappahannock and that it would be "in the county." Check back with the Wine Dogs for future details for next year's winning tickets. 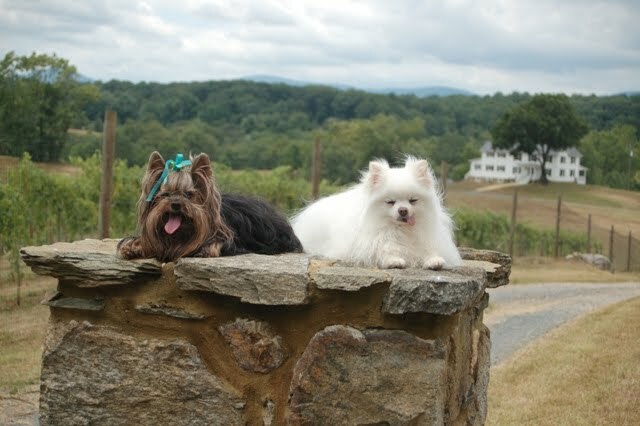 Munchkin and Pomeroy first rode into Sunset Hills following orders from the Generals' Wine Trail. 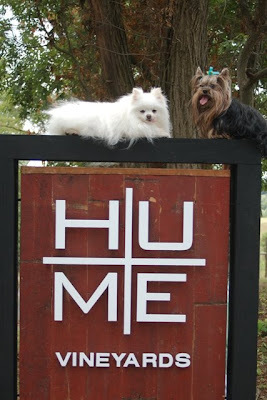 They discovered a beautiful setting where great hospitality complements quality wines. 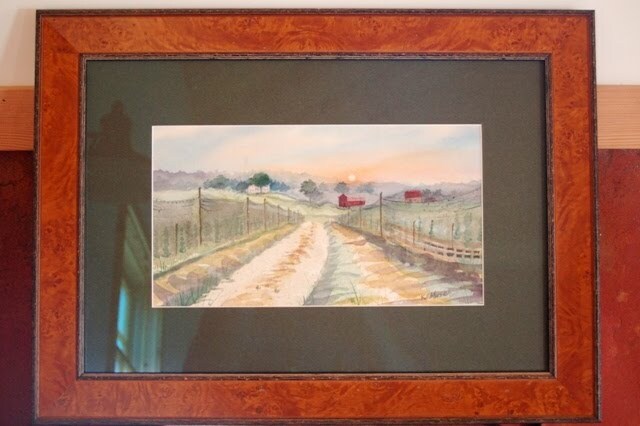 Mike and Diane Canney bought the 40-acre farm because they loved the rural feel of the land. They got bit by the wine bug after a romantic trip to Napa. 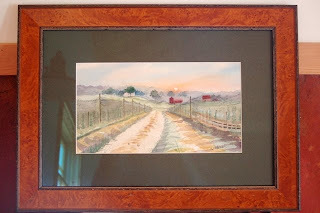 Recognizing Virginia's growing reputation as a wine region, they planted their first vines on a cold and rainy day 12 years ago. 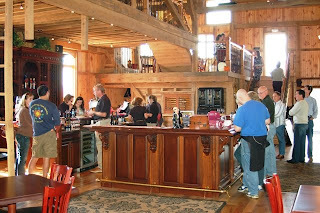 Today, the Canneys run the 4th largest of the 25 wineries in Loudoun County. 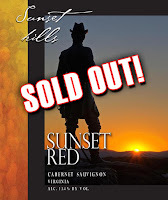 Sunset Hills has 20 acres in vines, producing about 5,000 cases a year. During the Wine Dogs' initial visit to Sunset Hills, Mike poured out the wine -- along with stories of the tangled trail that led him from spy satellites to NASCAR raceways to Virginia vintages. A physicist by training, Mike compared making wine to a science experiment. 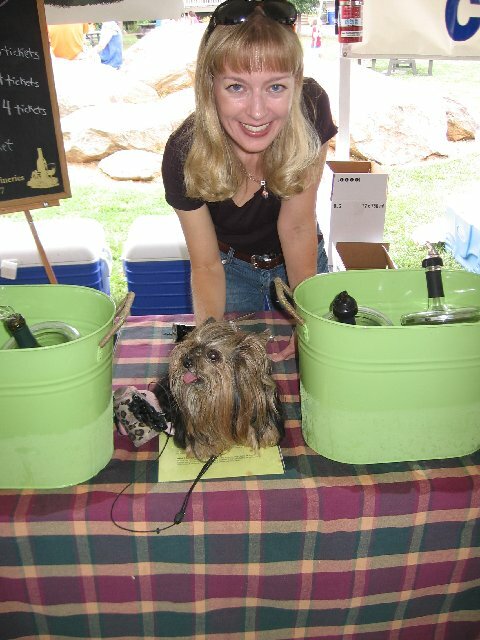 You can't just follow a recipe because the main ingredients -- the grapes -- are different each year. 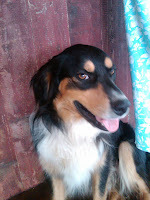 So you experiment, seeing what works well and what does not. 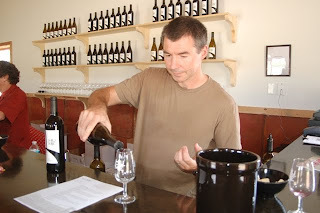 Mike and winemaker Nate Walsh have done an admirable job figuring out what works well at Sunset Hills. 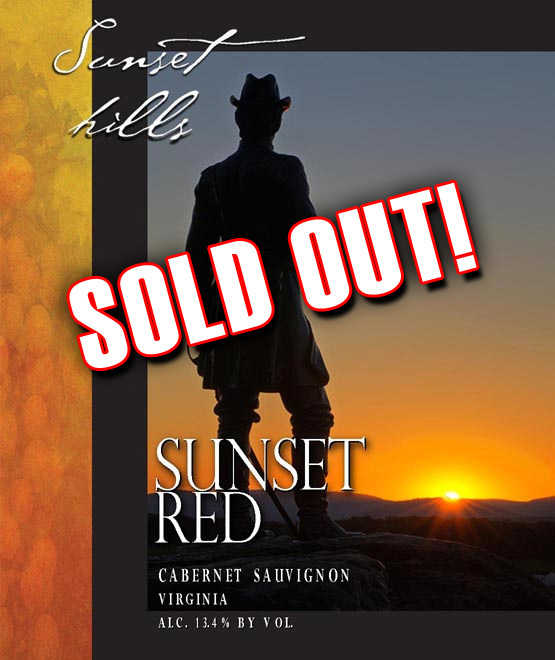 Although the winery only opened in November 2008, Sunset Hills already has racked up a healthy collection of medals. 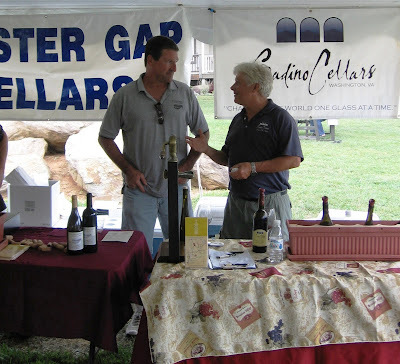 Among them are "Best of Category" from the 2009 Atlantic Seaboard Competition for the and Gold medals at the Virginia State Fair for both the 2007 Cabernet Sauvignon (a wine that grips and relaxes you) and the 2007 Reserve Cabernet Franc (a delicious example of Munchkin's favorite varietal, darkened with a touch of Petit Verdot to produce a full-bodied, complex wine). 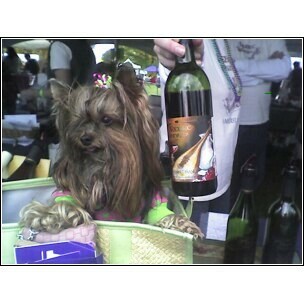 The Wine Dogs were fortunate to taste these jewels before they sold out. 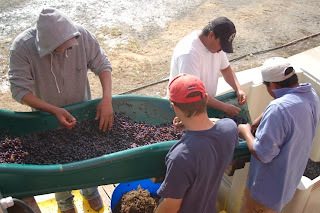 Munchkin and Pomeroy watched with fascination as the first five tons of 2009 Cab Franc grapes to come off the vine were carefully hand-sorted to remove stems and ensure the highest quality. 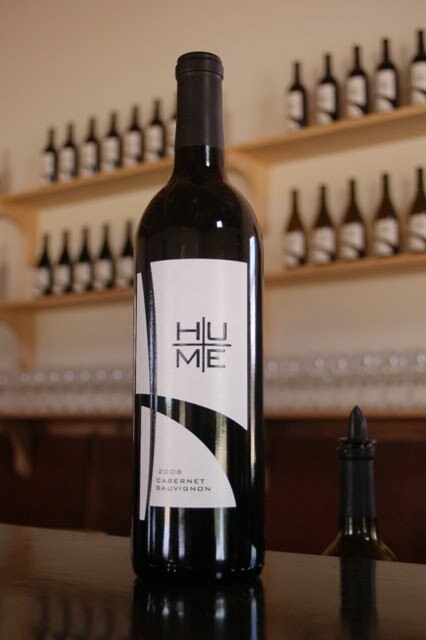 It was relatively early in the fall but, Mike explained, at Sunset Hills the harvest is based on the flavor and soundness of the fruit. With Cab Franc, Mike finds that the longer the grapes hang on the vine, the less the distinctive pepper finish. To further intensify the flavor, Mike planned to bleed off juice and make a Rose. 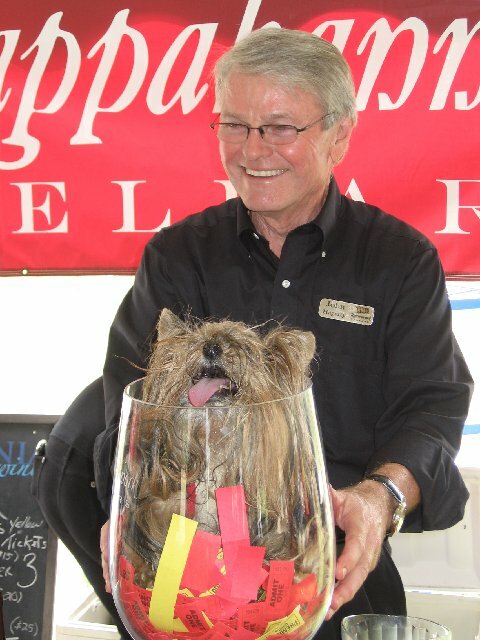 The Wine Dogs discovered the result this summer as server Lindsey Christensen poured the 2009 Sunset Rose, which earned two paws up from both Munchkin and Pomeroy -- and a Silver Medal at the Virignia State Fair (as did the Viognier, which Munchkin also considered worth barking about). 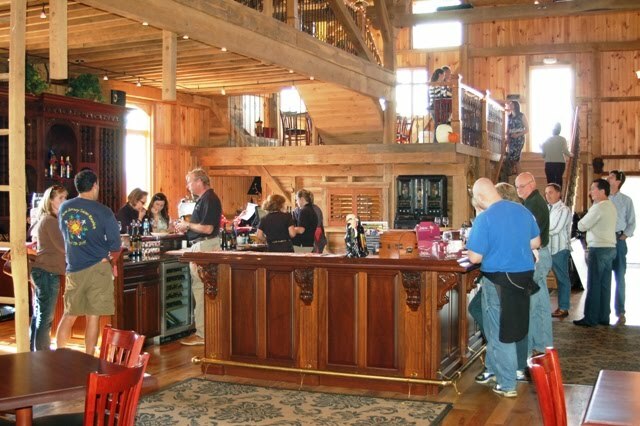 Sunset Hills wines are served in an impressive tasting room. 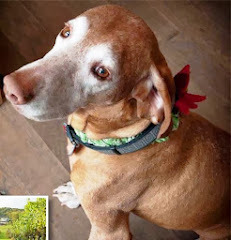 Diane told the Wine Dogs how six Amish brothers came down from Pennsylvania to transform the dilapidated barn into a showroom, complete with gleaming wood bars and 2,500 square feet of decking to showcase the spectacular views. It took the craftsmen over a year to perform their magic -- they returned recently to restore the stone pavillian outside. 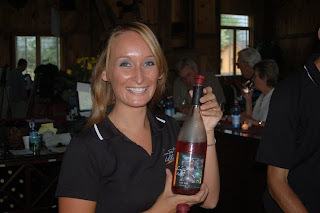 (Amish specialties also figure prominently among the light fare offered to accompany the wine). The Wine Dogs rode into Sunset Hills for their second visit with a violent thunderstorm at their tails. 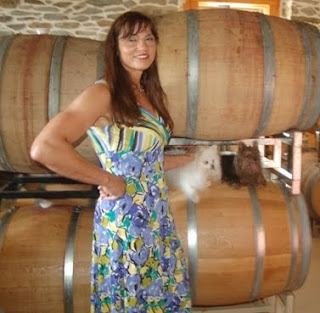 Fallen trees cut off power to the winery and blocked the roads. 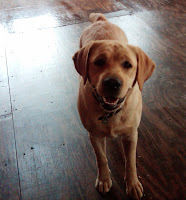 Diane, ever the gracious hostess, made the rounds to ensure all her guests were comfortable and content. 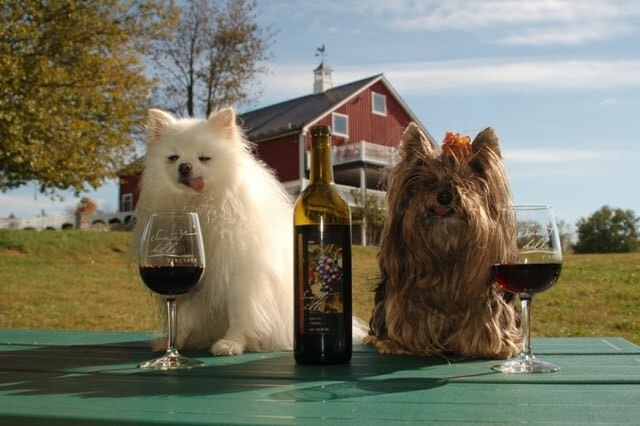 Munchkin and Pomeroy had no complaints as they enjoyed the delicious 2008 Merlot on the deck with photographer Bob Burkhart (whose photos can be found on the Sunset Hills Red label as well as the poster for the Generals Wine and History Trail). 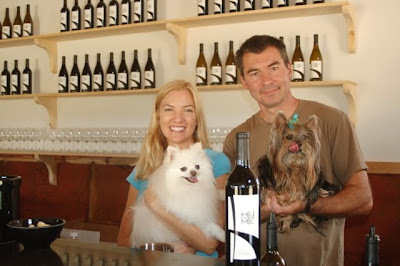 As a special treat, Diane took the Wine Dogs downstairs for a candlelight tour of the cellar. 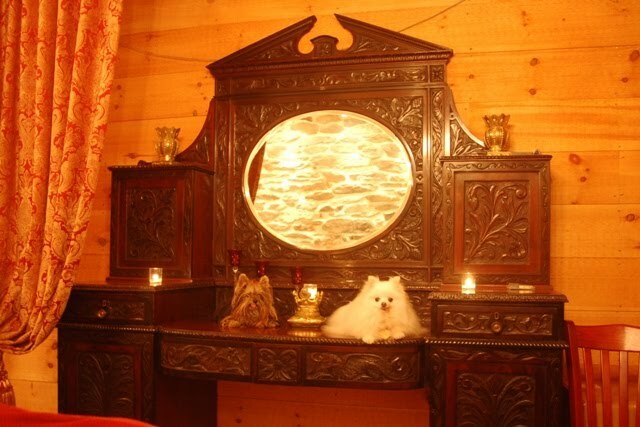 Pomeroy was impressed with the aptly named Chandelier Room. 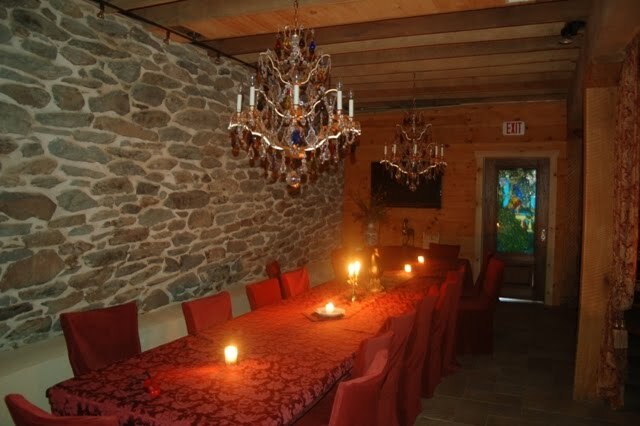 Stone walls, beamed ceilings, and antique furnishings offer a distinctive setting for a private tasting or dinner, such as the one Sunset Hills hosted for the Congressional Wine Caucus last year (perhaps a rehearsal dinner, Munchkin hinted). Through the stained glass doors is the barrel room, where next year's fine wines are gently aging. 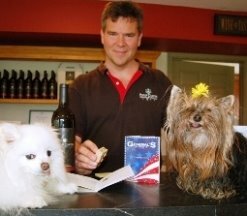 With their passports stamped thanks to Mike, the Curious Canines appreciate Diane giving them the perfect excuse for a return to Sunset Hills to see how the wines turn out. 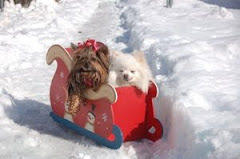 Yip yip yippee! 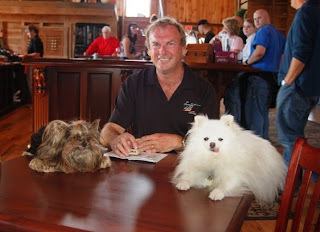 Governor McDonnell issued the official announcement today, barking out the exciting news. The bloggers are coming to Virginia for the 2011 Wine Bloggers Conference -- the first time this usually sold-out event will be on the East Coast. 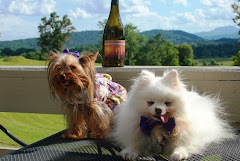 Munchkin and Pomeroy look forward to meeting fellow bloggers from across North America when they come to Charlottesville July 22-24. Organizers noted the full support of the Virginia Wine Board, Virginia Tourism, and the Charlottesville community in sealing the deal. 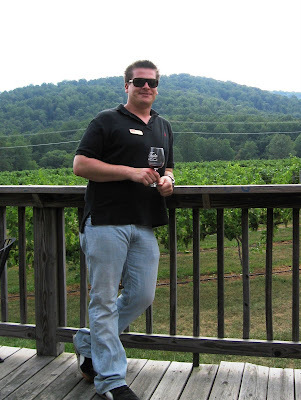 – Charlottesville Selected as 2011 Location for National Conference; 300 Attendees Expected --Premier National Event for Wine Bloggers-- –"
CHARLOTTESVILLE- Governor Bob McDonnell today announced that the national 2011 Wine Bloggers Conference will be held in Charlottesville. The conference is expected to bring at least 300 attendees to the area for the 3-day gathering. 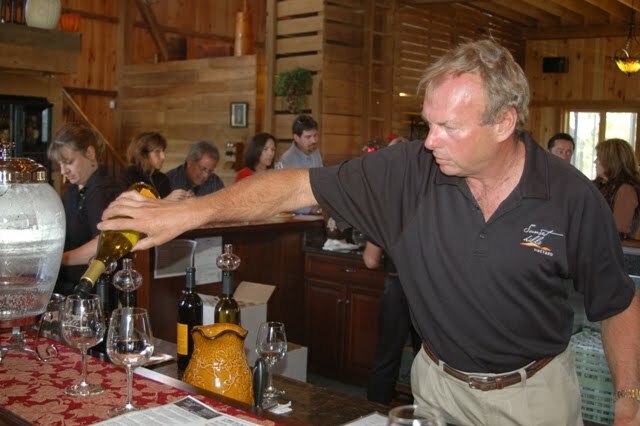 Commenting about the selection, Governor McDonnell noted, "Virginia wineries are garnering lots of attention across our country and around the world. 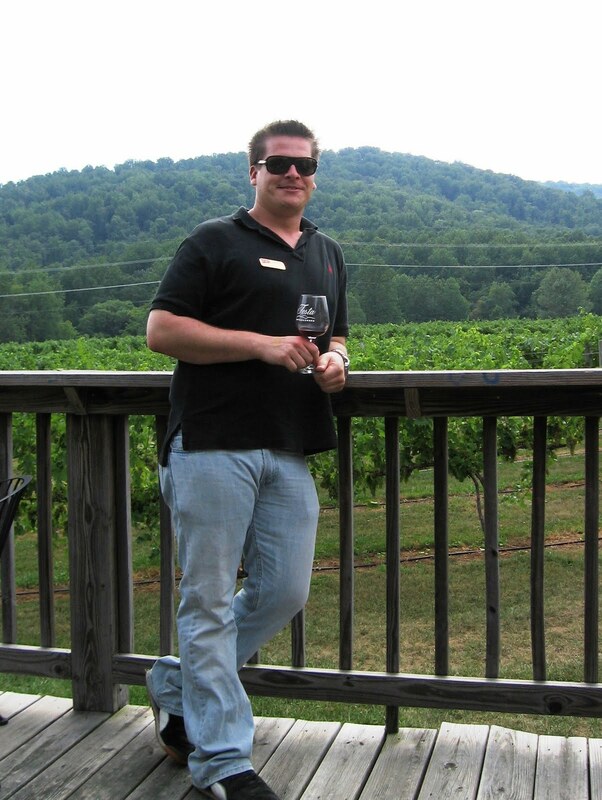 By hosting the Wine Bloggers annual conference in Charlottesville, interest will continue to grow thus attracting more visitors to Virginia and its wineries. 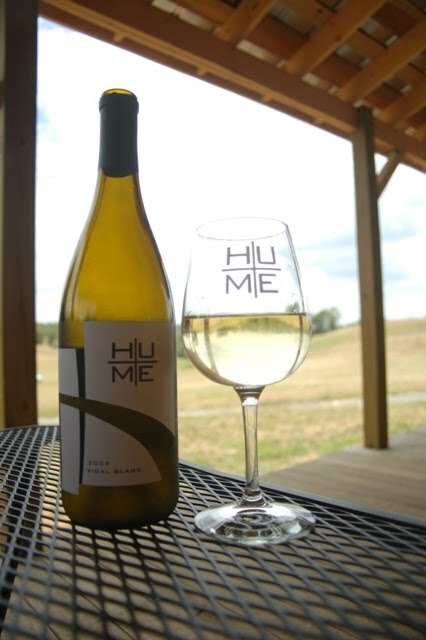 Since taking office, we have been looking at new and innovative ways to promote Virginia wines both domestically and internationally. 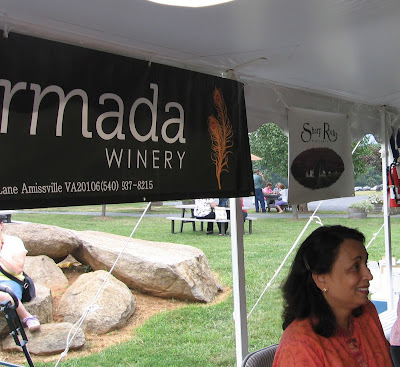 In addition to announcements of major national conferences choosing Virginia, our major initiatives supporting tourism and the wine industry took effect last week on July 1st. Virginia is now the nation's fifth largest wine producer and seventh largest commercial grape producing state, and we are committed to growing this important, job-creating industry in the years ahead. 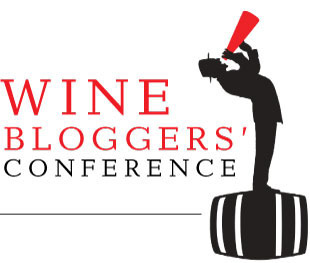 I look forward to welcoming the Wine Bloggers Conference to the Commonwealth next July." Munchkin took a paws from wine-tasting to visit George Washington's Distrillery and Grist Mill today, as Washington's whiskey went on sale for the first time in almost 200 years! The Father of our nation was not only "first in war, first in peace, and first in the hearts of his countrymen," it appears he was also first in the distilling. Washington was the only Founding Father to operate a commercial distillery, dating to 1797. The Distillery burned in 1814, but knowledge of the operations were preserved in Washington's writings. 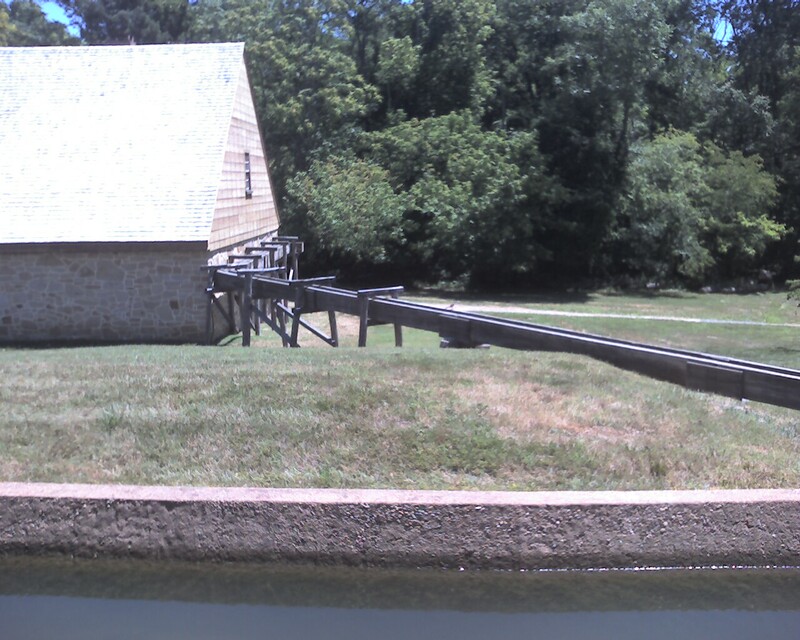 The Distillery has been reconstructed and reopened in 2007; however, a lot has changed since George Washington's time. In the 18th Century, you could bring your own jug directly to the Distillery and they'd fill it up for you. 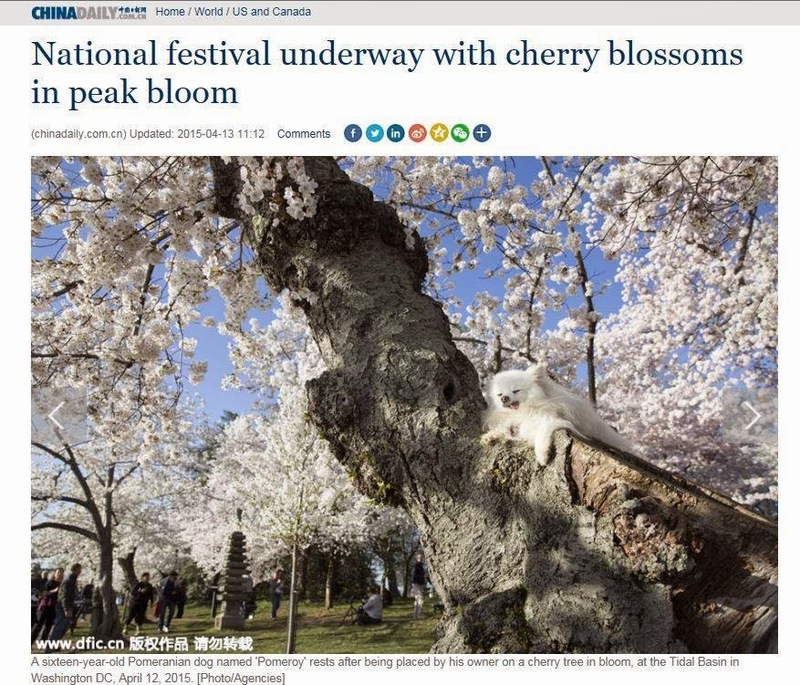 Try to get that approved by the ABC. Thanks to a change in Virginia law that went into effect today, however, Mt. 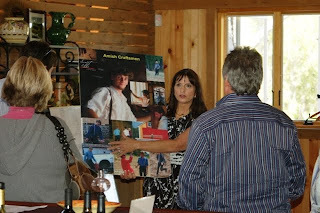 Vernon is allowed to offer tastings and sell whiskey directly to the public -- the first such tasting since Prohibition. Munchkin was among the first in line, sampling two versions. While there was much ado about the Rye Whiskey made according to the General's own recipe, Munchkin found it a bit too ruff for her refined palate, preferring the smoother Whiskey blend available at Mt. 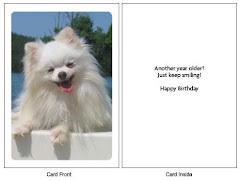 Vernon in commemorative sets. What a wonderful way for a patriotic pup to kick off America's 234th Birthday Celebration weekend! 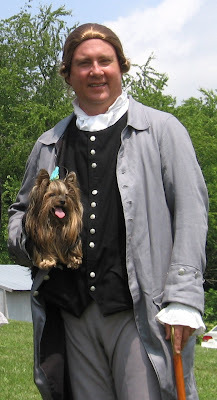 Munchkin left full of patriotic spirit as she rushed home to tell Pomeroy about her audience with President Washington. 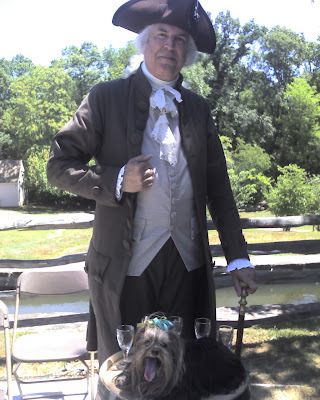 Munchkin also recently met with Thomas Jefferson at Philip Carter Winery's 2nd anniversary celebration. 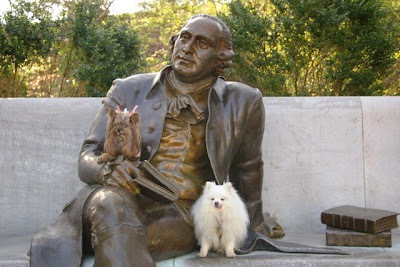 And both Wine Dogs enjoyed a pleasant morning exchange with George Mason during the Cherry Blossom festival.